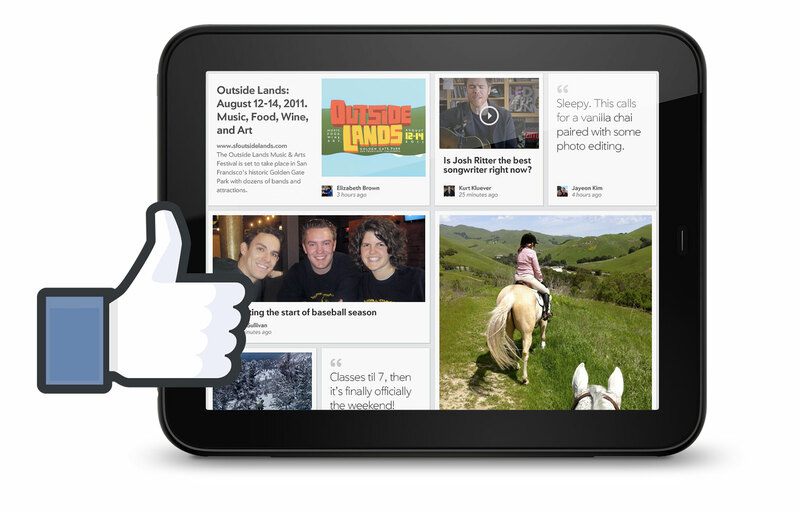 We designed Facebook's first tablet app. It’s a fun and easy way to connect with friends. 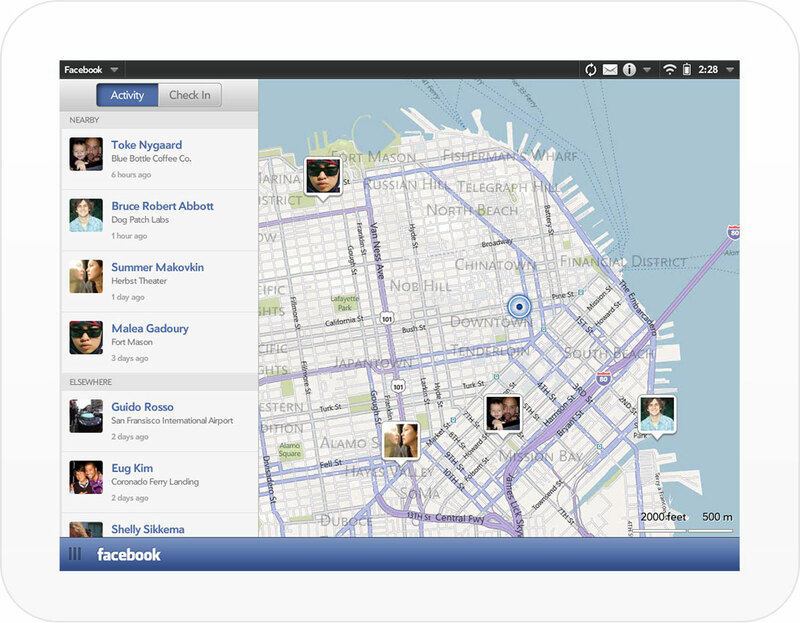 Our design established the new direction for the Facebook mobile platform, with an intuitive, unified UI. The experience takes advantage of the tablet format. 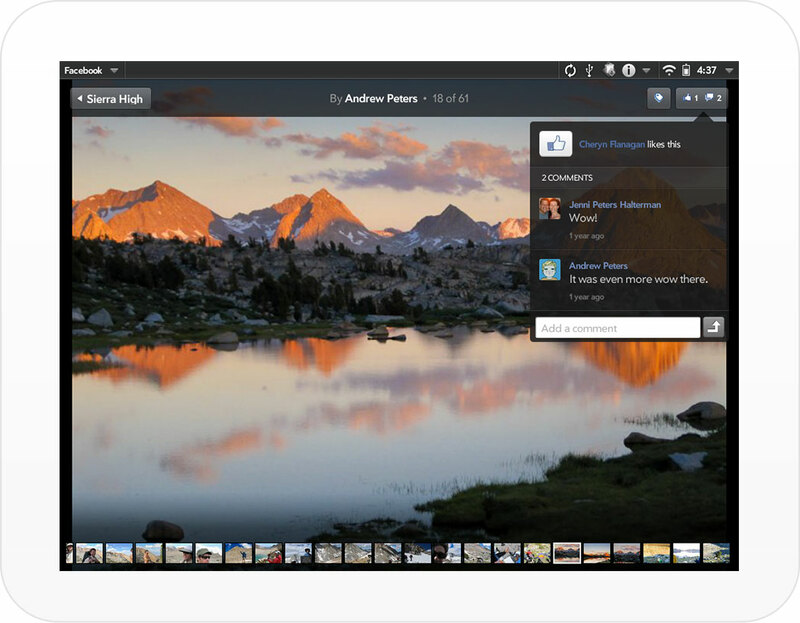 Comment on your friend's full-screen photos. Find your friends on a map when they check in. Browse updates in a vivid magazine-like format and dive into external shared content without leaving the app. The app has received great reviews from users and tech critics. Finally there's an easier way to stay connected with friends. 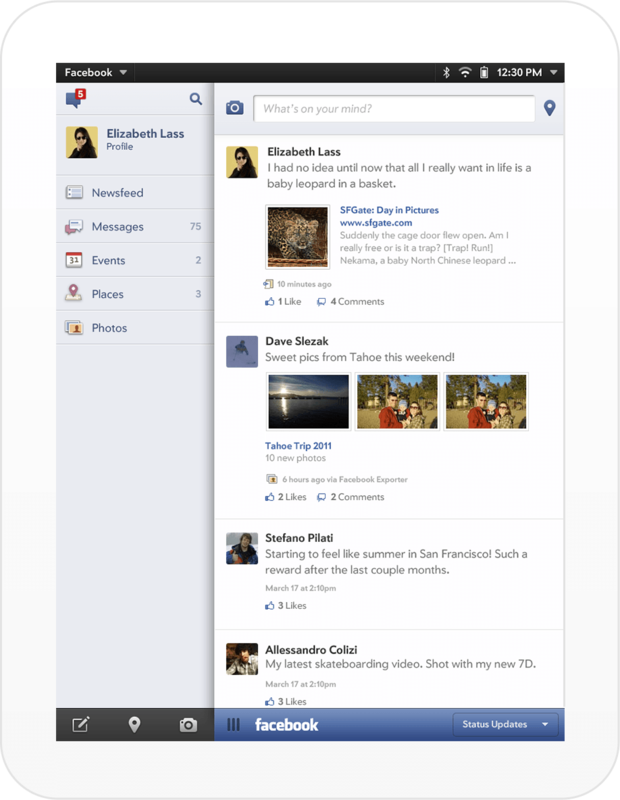 Facebook is one of the most popular mobile apps. The app’s design has created new interface conventions that now appear in many mobile apps.